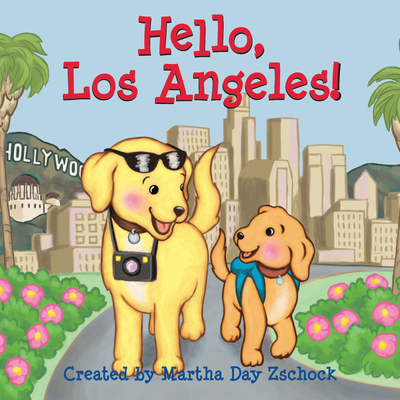 Welcome to Los Angeles Parent and child golden retrievers tour Los Angeles, California in best-selling author-illustrator Martha Day Zschock's Hello board book series for children. In Hello, Los Angeles join the pair as they visit Universal Studios, make instruments at the children's museum, and see animals at the zoo Along the way, ride a pony at Griffith Park, eat a taco on Olvera Street, and catch a concert at the Hollywood Bowl For ages 2-5. Made in the USA.